Vixen. 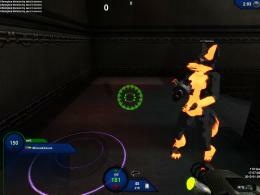 She comes from Vore Tournament but fear not, she doesn't nom in Xonotic. This is the latest version with several improvements over the old mesh, including iqm format over zym. Since VT is based off Nexuiz it uses the old animations (no melee anim and old crouch-walking). 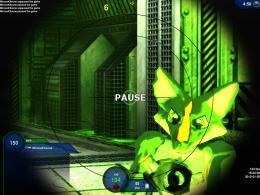 It also doesn't have LOD models, but it's low poly compared to default Xonotic characters. If someone cares for this model by chance, feel free to update it and maybe re-rig it to the Xonotic player skeleton. It looks like this model needs to be re-uploaded. 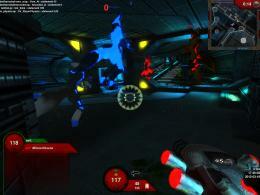 (08-29-2013, 02:45 PM)Orbiter Sunblast Wrote: It looks like this model needs to be re-uploaded. See the post above. 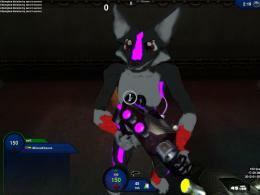 This is old and no longer maintained, there is a new vixen model based on Gak. You are still around, MirceaKitsune? If you are, then that is great news. You are one of the finest custom player model creators for Xonotic. (08-29-2013, 03:18 PM)Orbiter Sunblast Wrote: You are still around, MirceaKitsune? If you are, then that is great news. 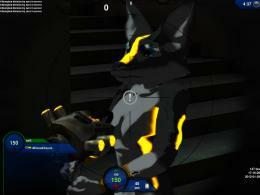 You are one of the finest custom player model creators for Xonotic. Sure, just maybe a bit less active now. And thanks, glad you like what I make Keep in mind many models are simply adapted to Xonotic, and not made or edited much by me. For the vixen model though, I did rework quite much of it. download link are broken, no?